When the Carolinas Aviation Museum was searching for a product to protect the “Miracle on the Hudson” Flight 1549 Airbus A-320, they chose the Display Stanchion from CrowdControlExperts.com. This incredible piece of aviation history is on display at the Carolinas Aviation Museum. Flight 1549 is an internationally recognized aviation icon. The aircraft is on display just as it was that January day it landed in the Hudson River, protected and surrounded by Display Stanchions and signage to show off this magnificent plane. The Display Stanchions provide protection for the display and allow for maximum visibility without line of sight distractions. CrowdControlExperts.com offers the broadest selection of stanchions, rope and posts, signage and crowd control accessories at discount prices. Visit us at www.CrowdControlExperts.com to view our full selection of stanchions and accessories or to speak with a Customer Service specialist, call 631-367-2005. Founded in 1992 and located at Charlotte Douglas International Airport, the Carolinas Aviation Museum’s mission is to preserve the history of aviation in the Carolinas and educate the society about aviation and its importance to the community. Casino's generally cater to tens of thousands of customers every night. CrowdControlExperts.com has worked with Casino's throughout the world to develop complete crowd control solutions that direct and control the large crowds that typically gather in different places within the Casino. Many Casino's have chosen to work with CrowdControlExperts.com because of our high quality and wide product mix. Many gaming areas, VIP areas and nightclubs within a Casino require a high-end, elegant product such as posts and velour ropes, while heavy trafficked areas such as restaurants, show queues, registration and other customer lines require a durable, flexible retractable belt stanchion. 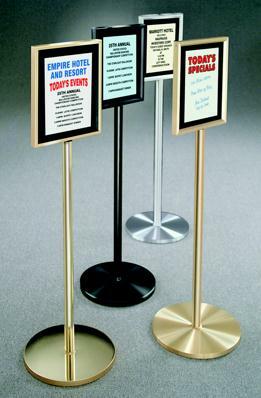 Polished brass stanchions combine a classic design with a quality crowd control product to match a casino’s elegant décor. The products durability is able to withstand the rigors of an eager gaming crowd. A large component to keeping the casino looking great is having a crowd control solution that matches the décor, which is what CrowdControlExperts.com provides. Most Casino's like how many different configurations we can offer. Whether they need retractable belt heads mounted on gaming tables, signs placed around the gaming floor, or traditional stanchions with both chrome and black finishes, we have a solution to meet their needs. We are a one-stop resource for crowd control, stanchions, public guidance and queue management solutions. Most products are in-stock and ready-to-ship. Whether you need in-line merchandising solutions, electronic queue management systems, directional and promotional signage systems, retractable belt stanchions or traditional post and rope stanchions we have a high-quality, value-priced product designed with you in mind. Since Black Friday has become the shopping “Superbowl” for retailers, their need to attract large crowds has increased over the last five years. 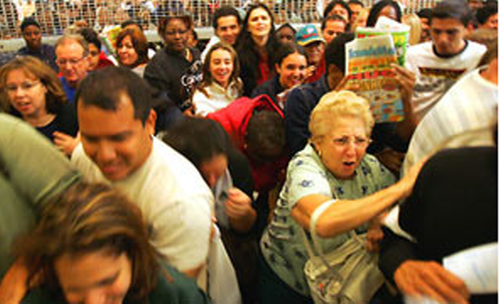 With this, has come a lack of preparation to control the throngs of people gathering before stores open, leading to horrific accidents and deaths as crowds stampede the doors to take advantage of the advertised sales. New crowd control strategies need to be implemented by retailers as these events get larger. And we are not just talking about Black Friday events. As large crowds have shown us in the past, this now includes events like a new cell phone model introduced by Apple, where crowds of people camp out over night to be the first in line, or a special promotion to generate foot traffic through the store. The recent crowds gathered for these events dictate a new focus needs to be taken on crowd control by retailers, not just in the store, but outside the store prior to opening. Today, many businesses are currently implementing crowd control lines and queues at the checkout counter. These queues organize customers into lines that control the orderly checkout for sale merchandise and the exiting from the store. Now, stores need to focus on pre-sales opening crowds. Create properly identified barricade areas and lines away from the store doors. Use stanchions or steel barricades to mark off queuing areas. Properly mark off these areas so arriving customers know where to line up. Make sure this queue is set up away from your entry point and does not block your exit from the store. When lines grow, make sure you have the proper number of employees and security personnel directing arriving customers into a queue. Security guards should be staffed outside in the parking lots hours before the store opens for large sales to organize and manage growing crowds. Security should be staffed inside the store as well to provide support for large crowds once the store opens. Control your crowds early…for instance, 10 hours ahead of a 5 a.m. opening, hand out tickets or bracelets to get in the store. Closer to opening time, give out a limited number of vouchers for specific specials. Customers who don’t get a voucher may leave, thus thinning out your opening crowds. Or you can offer them a second set of vouchers to come back the next day, thus spreading out your crowds over several days. Once shoppers start entering the store, only allow a certain number of shoppers into the store at one time, allowing an orderly flow of people into the store and managing your in-store crowds. Make sure proper queues are set up in-store and clearly marked to manage your checkout process and keep the customers moving out of your store in an orderly fashion. Hiring off-duty police officers for big sales in recommended. Make sure you have notified your local police precinct that you expect a large crowd ahead of time. We are your source for quality safety barricades, industrial safety, FME barriers (foreign material exclusion) and your worker and workplace safety solutions ranging from outdoor water and concrete barriers to secure your active roadways and heavy equipment to traffic cones and barricades to direct personnel and equipment through your work zones. Whether you need indoor stanchions like barriers or outdoor barricades that enable you to mark off Foreign Material Exclusion (FME) zones, hazardous equipment and even warehouse loading docks with stanchions, cones, chain and tapes, we have a variety of solutions to meet your needs. We'll support you from the outdoor industrial work area to the indoor machinery rooms to your loading docks to your restroom facilities with industrial rated safety equipment! Visit us at www.CrowdControlExperts.com to view our full selection of stanchions, safety barricades, FME barricades, workplace safety solutions, water and concrete barriers or to speak with a Customer Service specialist, call 631-367-2005. Longer belts, more finishes and more belt colors… all the same low price! 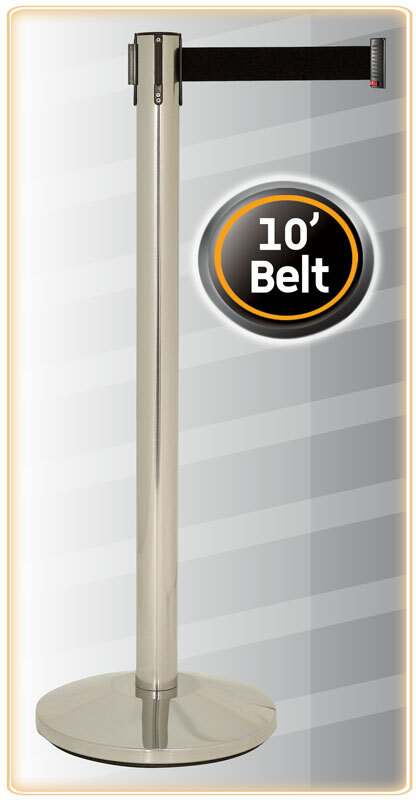 The Line-King TensionLine Stanchions now come with a 10 foot long belt as standard. 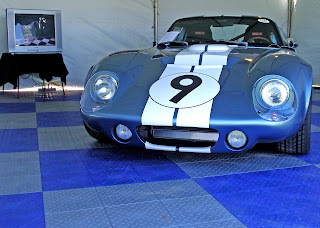 It’s up to 43% longer than its competition which will provide you greater value for your money. Besides the longer belt length, the TensionLine stanchions now have 25 belt colors to choose from along with an extensive range of finishes. It’s very rare to have such a low cost product with so many options; but with the Line-King TensionLine Stanchions, you now have the best of both worlds. We have also upgraded our Utility and Wall Mount products to further enhance the product range. 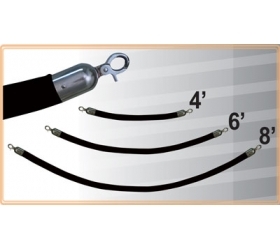 All of the in-stock Line-King TensionLine stanchion products with a 7’6” belt will be selling at a reduced price while supplies last. Visit us at www.CrowdControlExperts.com to view our full selection of stanchion accessories or to speak with a Customer Service specialist, call 631-367-2005. Have you thought to enhance your stanchions through the use of stanchion accessories. From bowls to signage to literature holders to wet umbrella bag holders, there are many additional uses for your retractable belt stanchions. For instance, increase sales on last minute items with the Retractable Belt Impulse Buy Bowl. This simple add-on item can boost sales by placing products in front of your customers while they wait in line. Simply screw the bowl on the top of any existing retractable belt stanchion. Increase the impact by adding a sign to provide pricing and other information about the product. The clear plastic bowl is made of polyethylene that is rigid enough to hold shape, yet flexible so it won’t crack with abuse. Use this product to provide merchandise in front of customers just before check out to increase sales. Create a safe environment. Fact: Slip and fall injuries are the third largest cause of work place injuries. Fact: The average slip and fall injury costs $28,000. (source: Bureau of Labor Statistics). Keep building hallways and floors safe and dry by offering customers a complementary wet umbrella bag. Place this retractable post stand in the lobby or entrance way to provide customers with a plastic bag as they come in from the rain. The recyclable bag prevents water from being carried throughout the building to reduce the chance of slip and fall accidents. These bag holders fit on many retractable belt stanchions. Help your customers prevent the spread of germs by providing them a sanitation station while they wait in line. The touch-free dispenser automatically vends the exact amount of Purell® instant hand sanitizer (gel or foam) that kills 99.99% of disease causing germs on contact without the use of water, towels, or drying. Available as a complete sanitation station or as an add-on that simply screws into the top of any existing Retracta-Belt® or Sign Post with no additional tools. All of our sanitizers come ready to use with batteries and a 1200 ml. Purell® gel refill. Control traffic flow at entranceways and exits with our security swing gate. The durable light-weight panel is permanently mounted to any standard Retracta-Belt® receiver post so you can integrate with an existing barrier or customer queue line. The self closing hinges swing one direction to allow traffic in, but not out. Standard messages or custom graphics can be applied to this barrier. Customize your retractable belt stanchions with custom messages and logos. Any message or logo from a simple one color message to a complex multi-colored logo can now be applied in a repeating pattern to any retractable belt posts. Use a mountable receiving end as the most cost efficient way to end a line. Standard receiving ends work with all retractable belt posts and most wall mountable units. The wall mount receiving end simply screws into walls or other surfaces for more permanent, repeat applications and alleviates the need for a post positioned near a wall. The Post Storage Cart is the ideal means of facilitating the transportation and storage of both retractable belts and portable posts. By storing the posts on the storage cart, you can more easily setup and break down barriers between events in a quick, efficient manner. Display your messages prominently with our smart and stylish sign frames. Sign frames are available in a multitude of sizes. They easily attach to retractable belt posts, conventional stanchions and sign posts. Our steel channel frames are made with welded corners and a slotted top opening. Heavy duty frames accept signs up to 1/4" thickness. Paper sign holders allow you to easily swap messaging with a sign printed directly from your computer. Literature Holders mount to retractable belt posts and do not obstruct the use of the belt. They accept literature up to 4"w x 9"h.
Post mounted writing tables mount between two retracta-belt posts and feature a 10" x 48" writing surface. They simply mount right on top of 2 existing retractable belt posts. From stadium turf protection and ice arena covers to temporary roadways to dance floors, we'll help you find the right product to meet your flooring needs. 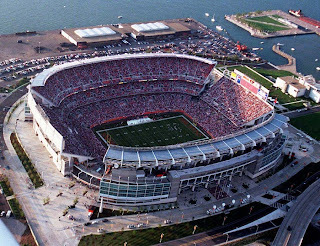 EventDeck portable flooring is the perfect choice for important special events on grass, sand, synthetic turf, tracks, asphalt, and a variety of other sensitive and uneven surfaces. Its specialized design permits rapid deployment and break down, making this system ideal for time sensitive events. From stadiums and ice arenas to tents and trade show displays, EventDeck portable flooring is an economical, high performance choice for temporary event flooring and surface. HexaDeck portable flooring is a portable roadway and heavy-duty flooring system. Use HexaDeck to create permanent or temporary pathways for vehicles, equipment and pedestrians. Interlocking hexagonal tiles create an incredibly durable portable flooring surface for access and ground protection for special events, military deployments, and utility use. The ArmorDeck portable flooring is our largest heavy-duty panel system. It is designed to handle heavy loads and provide ultimate stability and maximum temporary protection of natural and synthetic turf. This is the most advanced engineered stadium flooring system on the market, suitable for any purpose. DuraDeck flooring is a portable heavy-duty access and ground protection mat designed to create portable roadways and working platforms for vehicles weighing up to 80 tons. 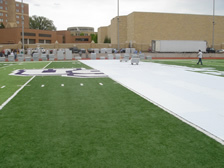 Mats are also available to create temporary pedestrian walkways, working platforms and staging areas for equipment and supplies. Our square, interlocking general purpose flooring tiles are the perfect choice anywhere a display floor, dance floor, or utility floor is required. From tent flooring to garage flooring and from locker rooms and bathrooms to upscale dance flooring, choose the right TempoTile for your specific needs. CrowdControlExperts.com offers a full range of portable and permanent dance floors, suitable for any event or studio. Use one of our gym floor cover products to convert standard wooden courts and sensitive flooring areas into multi-use event venues. Simply install these products over any sensitive flooring surface to create a durable protective surface for tables, chairs, AV equipment, staging, and other equipment. Unlike standard vinyl gym floor covers, our products wont bunch up or create a potential trip hazard. If you’re looking to rent portable flooring, we are your one stop source for all types of flooring and staging. From EventDeck portable flooring to carpet and synthetic turf, and from built up wooden floors to raised staging, we offer a wide range of options for any flooring need. We even offer portable roadways for cranes, trucks and other service vehicles. Visit us at www.CrowdControlExperts.com or call on us to provide turnkey services for stadium concerts, corporate events, or any type of fair, festival or tented event at 631-367-2005. At TrafficSafetyExperts.com, our goal is to provide products that can help you make your roads, parking lots, and work sites safer. The proper use of traffic safety products can help reduce accidents, protect drivers, pedestrians and construction workers and enhance safety. Traffic Channelizers, Barriers & Delineators: High-visibility traffic channelizer and delineator grabber cones and looper tubes are versatile, strong and easy to use. Every aspect of these channelizer safety products has been carefully thought out, from the unique handle designs, the durable low density polyethylene material, the smooth integration of components to the multiple applications you can create making them ideal for highway work, construction zones and work sites. Traffic Cones: Traffic Cones are expertly crafted using the highest quality materials and are backed by a quality guarantee. High-quality PVC cones provide high visibility under all weather conditions. Check out the wide variety of sizes and styles. Type I, Type II & Type III Plastic Barricades: Unique, durable plastic traffic barriers are suitable for a variety of different applications. Standard folding plastic barricades are ideal for all applications and provide cost-effective traffic control. Traffic safety barriers include Type I, Type II, Type III, breakaway barricade systems and modular barricade systems. Portable Plastic Barricades: Provide a lightweight, colorful alternative to steel barriers that are easy to handle and set up. Portable barriers are the most effective product for handling large crowds. If you are planning an event or are involved in an industrial work site, the need to insure both personal and public safety, needs to be considered. The use of signs and portable barriers can be a good way to help with doing so. Portable Vertical Panel Barricades: The vertical panel barricades consist of durable blow molded polyethylene panels and recycled rubber bases. They come in multiple styles with reflective sheeting to enhance traffic control and provide proper messaging. Delineator Posts: Traffic delineators meet the needs of contractors, municipalities and utility companies worldwide and are perfect for parking lots, islands and work zones, temporary or permanent applications. These traffic control products are designed and up-dated continuously with the latest innovations in traffic control and highway safety equipment. Traffic Signs & Stands: Traffic signs & stands include roll-up reflective and non-reflective traffic control signs in a variety of sizes and color with a large selection of legends on all traffic signs. Portable traffic sign stands come in many shapes and sizes. Visit us at www.TrafficSafetyExperts.com to view our full selection of traffic safety products or to speak with a Customer Service specialist, call 631-367-2005. Rubber bases are made from 100% recycled tire rubber and used for portable channelizers, delineators, and for temporary use applications. If need be, they can be surface mount glued down (you can use epoxy or butyl pads). They are typically more expensive than a plastic base. Urethane bases are not considered a portable delineator, as they are attached to the road surface using butyl pads, A-B epoxy resin, bituminous hot-melts or bolted to the surface. They are mostly used for permanent applications where product durability is important, but also used for temporary use. Plastic Bases are also not considered a portable delineator, as they are attached to the road surface using butyl pads, A-B epoxy resin, bituminous hot-melts or bolted to the surface. The make for an inexpensive, work zone delineator that is reboundable, but not made to withstand repeated high speed. They are typically used in work zone products for lower speed, construction zone, parking lot, and temporary applications. Plastic bases can be used for permanent installations in protected areas. They are surface mounted for glue down or bolt down (you can use epoxy or butyl pads or red headed concrete bolts). Plastic bases are typically cheaper than rubber bases. At entertainment complexes, stadiums, casinos and other facilities in which large crowds gather, crowd control is key. CrowdControlExperts.com offers a wide selection of crowd control systems and products that provide optimal solutions for directing crowds and easing congestion in an orderly, efficient manner. Retractable belt stanchions are the most cost effective economical solution to meeting large crowd control needs. And to improve branding and messaging, products can be customized with attractive finishes and branding logos or messages that relate to your theme. For lobbies, hallways and other areas, high quality Post and Rope stanchions are durable enough to stand up to anxious customers while displaying a high end theme for those who are waiting. Our inventory of lobby equipment and a wide variety of signage, from stand-alone bulletin holders and post top signage to 6’ tall signposts that stand above the crowd, are the optimal solutions for building crowds. CrowdControlExperts.com also offers quick shipping for those last minute needs you may have overlooked. Does this label make something made in the USA? The answer is no! This is carefully worded to say assembled, designed, and developed in the USA but nowhere does it say manufactured. As a matter of fact, this label is now being applied to many products that are imported from China. As a true supporter of American manufacturers, we find it disgraceful that companies would import products from China and then fly the American flag on them and label them as Made in the USA. Any company that does this should be fined by our government. Support your American manufacturers this 4th of July and watch out for the frauds! The U.S. plastics industry employs more than 1 million workers. The U.S. plastics industry creates $327 billion in annual shipments. Since 1980, U.S. plastics industry shipments have grown 3.4 percent per year. Over the past 26 years, productivity in plastics manufacturing has grown 2.3 percent per year, which is faster than productivity growth for manufacturing as a whole. The above information came from the SPI Plastics Data Source, which also includes individual state data. At CrowdControlExperts.com, we offer a large selection of American made plastic products to choose from, including stanchions, chain, sign adapters, accessories and more. On America's birthday this 4th of July, support your American manufacturers. What is a Looper Tube Traffic Cone and Why Use It? When planning work projects of any type there are many different types of traffic safety cones and products you can use. 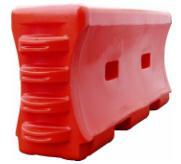 These plastic traffic barricades come in a wide variety of sizes, shapes, and colors. While just about all plastic barriers, including traffic cones or water filled jersey barriers instruct cars, and often people, to keep out or detour around, some are sturdier than the others. For instance, jersey style concrete barriers are very difficult to move from job site to job site. However, water filled jersey style barriers allow you to move them easily. By using barriers that are flexible, you don't have to constantly order new things every single time you get a new job that requires it. Water filled jersey barriers come in a variety of colors, allowing you to alternate them from orange to white to increase their visibility on a job site. They come in a variety of sizes including 5’ and 6’ lengths, meaning no matter how large the area, you should not need too many water filled jersey barricades to close it off from the rest of the world. 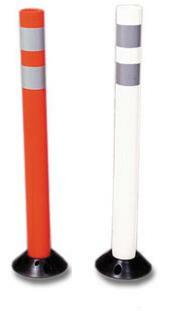 A Looper Tube traffic safety delineator posts allows even more flexibility. The Looper Tube traffic safety delineator post is manufactured from durable high density polyethylene, with UV inhibitors added to minimize fading. The recessed areas on the Looper stem help protect the reflective sheeting from tearing and scratching. An extra large flange on the bottom of the Looper Tube securely holds the base in place. The Looper Tubes unique "loop" style handle make grabbing and moving a breeze, as well allowing for the formation of pedestrian barriers with caution tape. Closing off an area of the job site is quick and easy utilizing the unique "loop" style handle with two or more Looper Tubes tied together with caution tape, flag line, plastic chain or rope. Looper bases are made from 100 percent recycled rubber in 12 and 18 lb weights - with convenient carrying handles. The traffic safety Looper Cone comes with a patented reinforced handle design so they can be stacked without sticking together. They are made out of a durable low density polyethylene plastic that keeps the cones shape, reducing crushing and breaking. The Looper Cone’s convenient handle design allows for easy movement and placement. Both the Looper Tube and the Looper Cone will accept a standard or “D” cell barricade light. When You Buy Cheap Imported Stanchions, Are You Putting Your Customers At Risk? As an expert in domestic manufactured and imported stanchions, CrowdControlExperts.com knows what you need to look for in a safe stanchion. Cheap imported retractable belt stanchions selling on the market for $24, $34 and $39 could be putting your customers at risk. Many of these stanchions do not contain a braking system to slow the retraction of the webbing when it is released. If a child is playing with this belt in line, and lets the belt mechanism go, it could accelerate at a speed equivalent to 85 mph, faster than a formula 1 car off of the starting line according to recent studies! When this snaps back at that speed and hits another customer in line, it will likely inflict an injury that you may be liable for. Many domestic manufactured stanchions are the safest barriers on the market. They contain patented breaking technology systems that slowly retract the webbing, allowing it to fall to the floor upon release and then slowly and safely retract back into the post, eliminating the risk of an accident within your queue. Domestically manufactured stanchions also contain anti-tamper tape ends that require you to actually press a button to release the tape end connected to the post, thus preventing accidental release of the webbing by customers in your line. Cheap imported stanchions can be bumped into and their retractable belts can be dislodged, snapping a fast belt end back at an unsuspecting customer waiting in line who could be injured. Aside from the dangers of these cheap imported stanchions, domestically manufactured stanchions offer many other advantages. Their belts are typically longer than the 6 ½ feet length of the imports, so they require fewer posts for the same coverage. 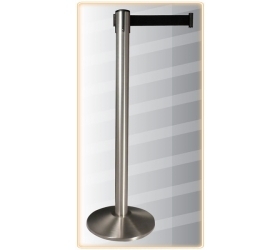 Domestically manufactured stanchions have durable polyester belts, instead of a thinner, less durable belt which appear wavy and flop over on the cheap imported stanchions. Domestic belt cassettes are made of high impact polycarbonate materials, greatly increasing durability, in comparison to the cheap plastic cases that crack easily on the imported stanchions. Unlike the heavy metal found in domestically manufactured stanchions, imported stanchion posts are usually made from a thin tube of low grade steel or stainless steel that will dent and rust easily. Domestically manufactured stanchions have typically been carefully designed to ensure long useful lives and thus have long warranties to support their quality. Imported stanchions typically have a weak hardware connection at the base that becomes loose overtime with repeated tightening and will cause the post to lean. Cheap Imported Stanchions typically have a cement filled base instead of a metal base, which can easily crack and break apart over time from repeatedly moving the post. Many of these cheap imported stanchions do not accept sign frames, unlike their domestic competition, which offer an array of frames to choose from. Domestically manufactured stanchions typically have a rubber floor protector standard to protect your floors. The cheap imported stanchions do not and typically scratch the floors when dragged or moved across them. Our domestically manufactured stanchions have universal belt ends that integrate with most competitors' products, including both internal groove as well as external dovetail designed products. Cheap imported stanchions can typically only be used by themselves and are not compatible to connect with other stanchion models customers may already own. May the buyer beware…this is truly a case of getting what you pay for. Let CrowdControlExperts.com help you make a safe, wise stanchion purchasing decision. Here are some of the top reasons to choose our plastic stanchions and chain. SAFETY. Not only do we use plastic chain and stanchions to promote safety and reduce injury, plastic has been proven to be a safe material to use. Plastic does not shatter or break when dropped. It is a great alternative to glass or metal especially when used around children. RUST RESISTANT. Unlike metal products, plastic products are rust resistant therefore allowing a wider and more versatile range of use. In addition to being rust resistant, our plastic stanchion and chain products are also fade and weather resistant. AESTHETICALLY PLEASING. Along with the flexibility and many uses for plastic in general, Our products are aesthetically pleasing with their bright colors and many shapes and styles. ECO-FRIENDLY. Before plastics were recyclable, it was understood that it could take up to 500 years to disintegrate on earth. All of our plastic stanchion and chain products can be recycled. In addition to the long life of these plastic posts and chain, we can all use the material with ease knowing it doesn’t have to end up in the garbage. What are Stanchions and how do you use them? Stanchions are used for many different purposes such as crowd control, waiting lines, marking off areas, protecting art or cars, designating “Do Not Enter” or “Protected Equipment” or dangerous areas. Many different places use stanchions including banks, restaurants, trade shows, arenas and they have many other applications. They can be line barriers or queue barriers that you often see in airports, movie theaters, hotels, restaurants, sport venues and anywhere crowd management is required. Stanchions for crowd control and crowd management purposes are defined as upright posts with a retractable belt, stanchion post rope, or plastic chain that serves to control and manage crowds. Stanchions are often referred to by many names, including stantions, stantion, standcions, stansions, belt barriers, retractable belt barriers, crowd control posts, crowd control systems, queue posts, and queuing systems. What follows is a detailed look at the differences between the various styles of stanchions and their applications. Retractable belt stanchions use a spring mechanism to retract a nylon belt and store it in a canister attached to the post. Domestically produced stanchion mechanisms have many built in safety features. Many cheap imported stanchions do not have these safety features, so may the buyer beware. 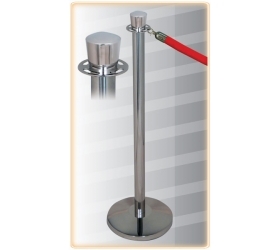 Retractable belt barrier stanchions are designed for standard crowd control. Stanchions with retractable belts are the most effective and flexible form of crowd control to control lines and crowds. Retractable belts and posts can also easily be customized with your brand, message or logo. These style stanchions come in a wide variety of post finishes and belt colors. While not as elegant in appearance as classic posts and rope, quality retractable belt barriers and stanchions can be very attractive and provide an unlimited amount of flexibility to their configurations. Conventional stanchion posts for ropes or chains are available in a many styles and finishes that compliment any decor. These stanchion posts and rope are typically used in applications where an elegant look is desired and crowd control is a secondary concern. Some applications for conventional stanchion posts and rope include movie theaters, museums, restaurants, night clubs, art or car displays, churches and elegant events. Stanchion posts and rope should be used to create an elegant look and style, while crowd control is a secondary concern. For those on a budget, or if you need a lightweight crowd control system, we recommend plastic stanchions and chain. 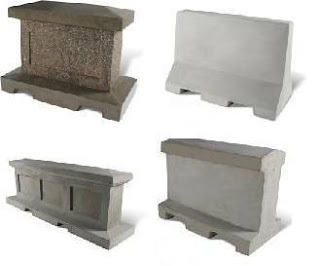 They are lightweight and can be filled with gravel or sand for added stability. 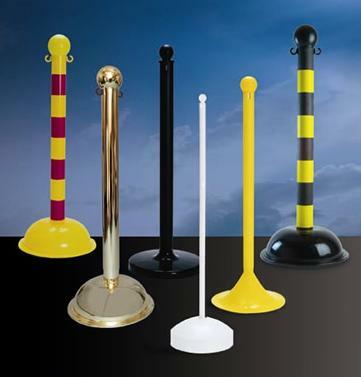 Plastic stanchions come in many different styles and colors ranging from black to chrome. They are made of high quality plastic for durability and stability. CrowdControlExperts.com will now take the complexity out of designing queues by offering our comprehensive design services free of charge. CrowdControlExperts.com will help customers select between retractable belt posts, classic posts and ropes, post beam and panel, and merchandising stanchion options to boost impulse sales by up to 400%, increase margins by up to 30%, convert waiting time into extended shopping time and transform dead queuing space into valuable additional retail space. Offering years of experience and design expertise, CrowdControlExperts.com can help customer’s better merchandise and market products leveraging experts who have installed thousands of queue management systems and In-Queue Merchandising systems. Leveraging a wide selection of products, solutions designed by CrowdControlExperts.com can add value to any retail associated environment, from brand communication to space division, display & signage to retail in-queue merchandising. CrowdControlExperts.com will help you select between retractable belt stanchions, classic post and rope stanchions, or beam and panel options. Retractable belt stanchions provide maximum flexibility and easy storage. While classic posts and ropes provide a traditional and elegant look. Beam posts, beams and panels offer a more sturdy and flexible system of crowd management. Beams help prevent portable posts from being pulled over by downward pressure. Panels can be added to beams for additional visual impact and control. In-Queue Merchandising panels can turn your line into a profit center. The experts at CrowdControlExperts.com will help customers select from a comprehensive offering of post, tape and rope colors and finishes that fit virtually any decor. Branding options that advertise a logo or communicate a message to a captive audience are also available to be designed into the solution. Portable posts allow for the greatest flexibility and are by far the most popular. Fixed posts are permanently mounted to the floor and used where a traffic pattern is determined to be unchanging. A flexible alternative to fixed posts are removable posts, which can fit into floor sockets and may be temporarily removed. CrowdControlExperts.com will sketch a layout, check the post spacing specifications for the correct products selected, allowing at least three feet for aisles, include all appropriate signage and be sure to review ADA and Safety requirements that must be met. In-Queue merchandising is another option that is a highly adaptable, modular system that consists of a series of slat and slot merchandisers, graphics and panels to create a wide range of structural designs for all types of queue environments. It includes standard or customized header panels, to incorporate branding or advertise promotions, a wide range of merchandising accessories from baskets, bowls, shelves, hooks and prongs, and infill or poster panels that help promote brands and open up advertising streams. Now you can enhance the efficiency of your lines by adding Electronic Line Management systems. Electronic Line Management systems are extremely flexible and easy to incorporate into the overall queue management solution using new electronic queuing technologies. Media sales can even be integrated into today’s queues, merging state of the art technologies with design and functionality. (www.crowdcontrolexperts.com) – There was an instant buzz as Crowd Control Experts announced the most customizable stanchions in the industry today. CrowdControlExperts.com now offers over 200 finishes for the Retracta-Belt and Conventional Post product lines. CrowdControlExperts.com also expanded the belt and rope color options. These expanded finishes, belt colors and rope options allow any customer the unmatched ability to customize their crowd control solutions. Many large customers have requested additional finishes and customization to meet their internal needs and CrowdControlExperts.com responded. In addition to the customization of the stanchion posts and bases, the belts can also be customized using either a silk screen or dye sublimation process. Dye Sublimation (a.k.a. Dye Sub) is a digital printing process used to create complex graphics and gradients onto fabric. CrowdControlExperts.com can now Dye Sub anything an ink jet printer can print onto a stanchions retractable belt! Silk screening is very similar to stencil painting. Ink is applied over a stencil and ink is applied to the belt's surface in the desired areas. It produces crisp but simple one or two color graphics. Both methods allow companies to brand their stanchion belts around product or corporate branding needs to further their brand reach. 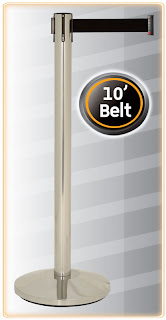 Company’s using these stanchions in arenas or at events can now sell advertising on the retractable belts themselves, easily replacing the belts from event to event, enabling these companies to tap a new advertising gold mine. Take it one step further and the crowd control stanchions can also be branded with custom post cap labels and post base labels. Place a company logo on the label for easy identification, advertising or security needs. Over the years, many large and small companies have chosen CrowdControlExperts.com because of the high quality and wide product mix. Many appreciate the fact that these stanchions were manufactured here in the US. CrowdControlExperts.com is proud of the fact that our customers choose these products for their durability and flexibility. Now they have one more reason to choose products from CrowdControlExperts.com... customizability. CrowdControlExperts.com is a part of the Twin Discovery Systems, Inc family of ecommerce businesses focused exclusively on the commercial products market segment, offering thousands of products in categories including traffic safety, store fixtures and displays, mannequins, restaurant supplies, hotel supplies, janitorial items, safety gear and crowd control. CrowdControlExperts.com specializes in pedestrian traffic and crowd control stanchions and systems offering the highest quality Stanchions (Stantions), Barriers, ADA Compliant Posts, Display Posts, Heavy Duty Utility Posts, Single and Dual Line Posts, Belts, Ropes, and other crowd control equipment at the lowest prices. CrowdControlExperts.com has served tens of thousands of customers including fortune 500 companies, hotels, churches, health care, educational institutions and government facilities throughout North America and worldwide since 1993. CrowdControlExperts.com can be viewed at http://www.crowdcontrolexperts.com or by calling us at 631-367-2005.